But the real pièce de résistance use to be the creamy, decadent goodness, delivered to the table, in a cute, little shot glass, at the completion of each meal. 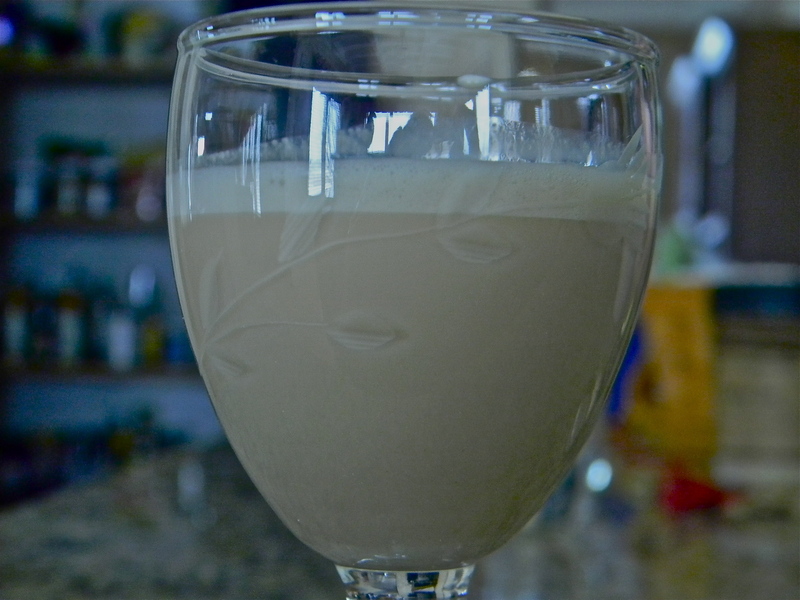 Mmmm….sweet and nutty…it even had a “chewiness” factor…little chunks of almonds, I believe. To die for. Anyway, when I stopped eating and drinking all things dairy, I no longer took part in this delicious ending to the meal. I mean, there was no way this could be anything but dairy. Hence the “use to be” in the previous paragraph. Now before you go getting all sad for me, allow me to fast forward a couple of years. Sassy, but filled with mouth watering recipes! As luck would have it, I had everything I needed. 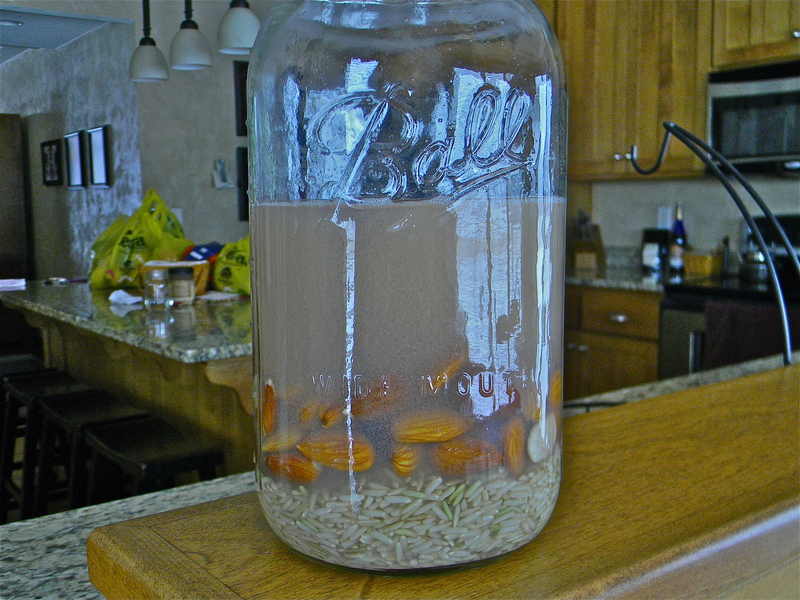 So, I gathered the ingredients…brown rice, almonds and a cinnamon stick…and placed them in a jar with 4 cups of water. I let them sit on the counter overnight. 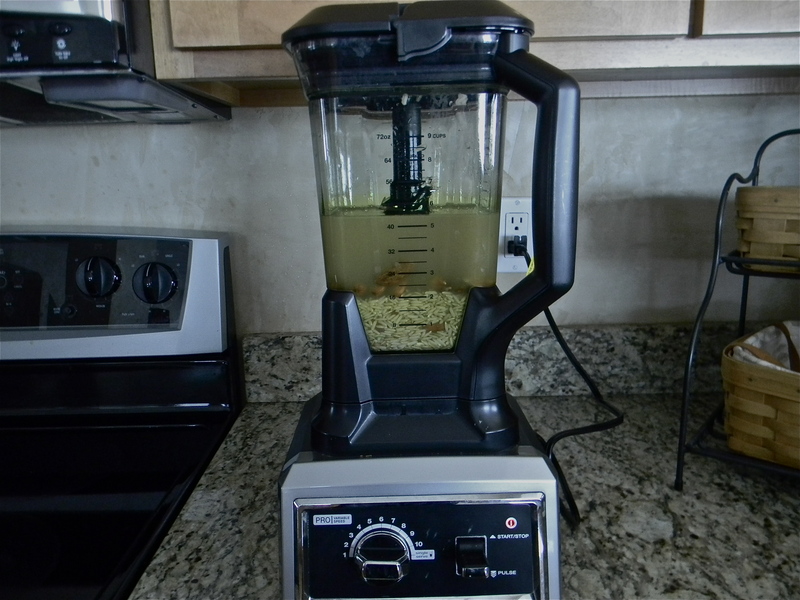 The next morning, after I got home from church, I threw everything into the Ninja, added a smidge of maple syrup and blended away! My husband looked on, with great curiosity. Once the cinnamon stick disappeared, I called it good! 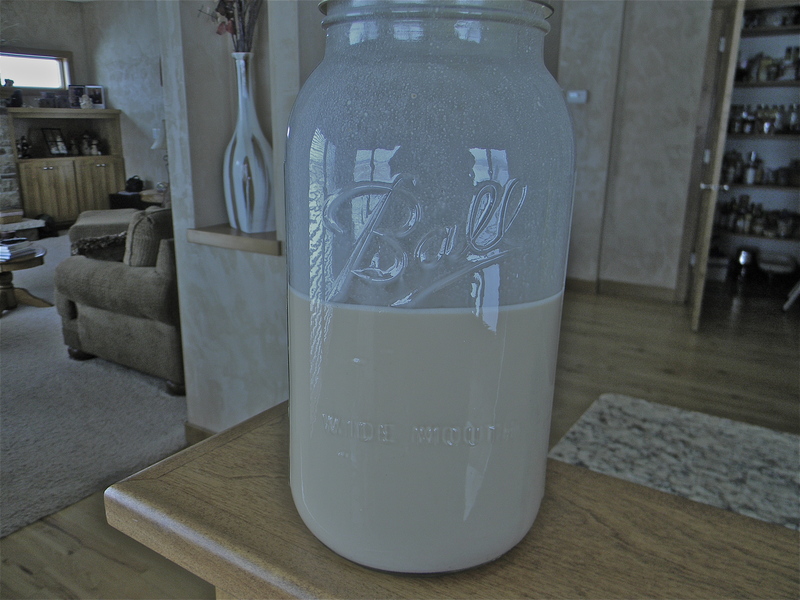 I then poured the concoction back into the jar and added 1 cup of Kahlúa! 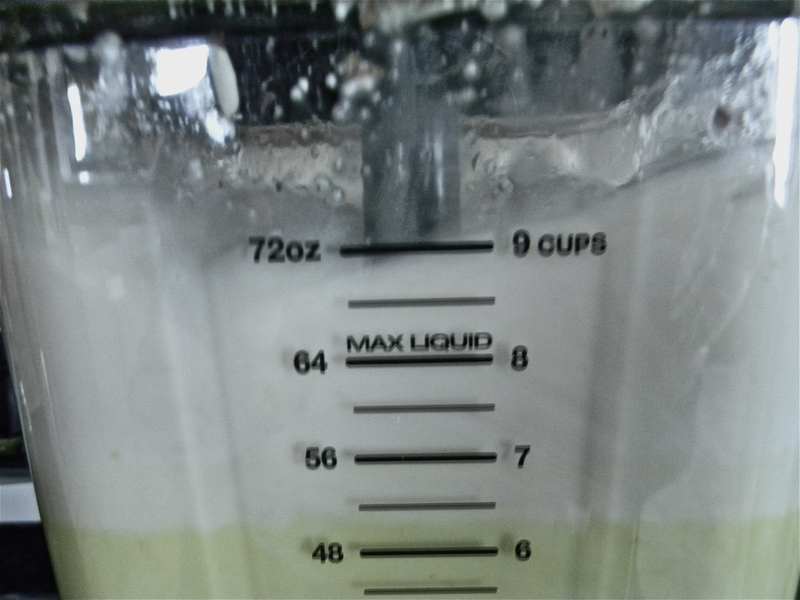 We taste tested this before heading off to the Y. Best. Workout. In. A. Long. Time! Coincidence? I think not. I brought this along to the Super Bowl party we went to Sunday night. It was well received! Very well received, indeed. You need to give this a try! Based on a recipe from the Thug Kitchen cookbook. 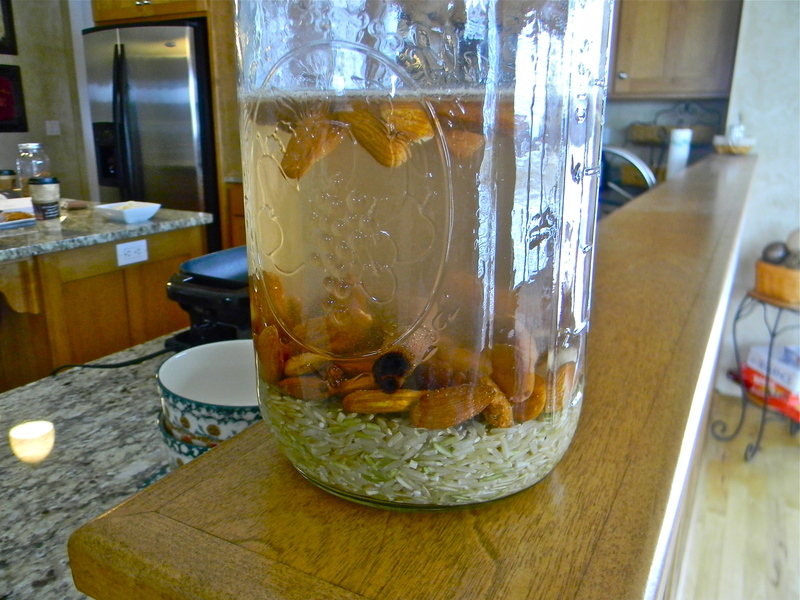 Put almonds, rice, cinnamon stick and water in a large glass jar. Let sit overnight. 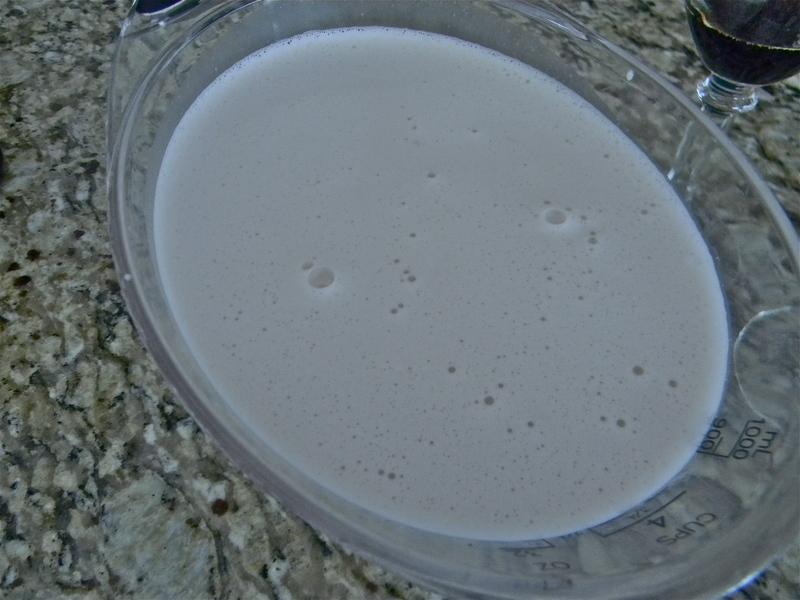 Then blend in a high speed blender along with the maple syrup. 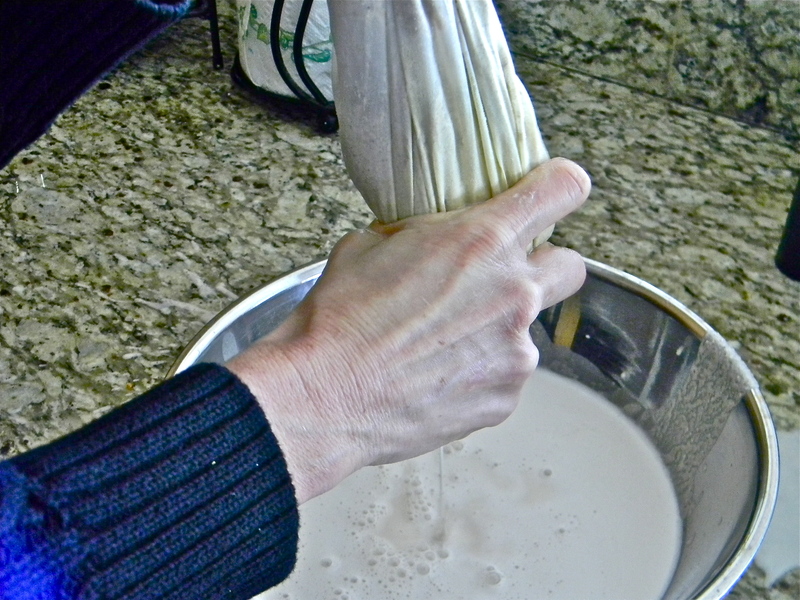 Strain through a nut milk bag. Pour back into glass jar and add Kahlúa. Shake. Pour over ice. Next Post This Really Happened!